It’s 1:35 AM and I’m listening to “Wicked Games” by The Weeknd on the Mee Audio Pinnacle P1 in-ear monitors. Although not the sound signature that I find myself drawn to in general, I find the experience enjoyable – as the vocal layering is presented in a satisfying and full manner. As the soulful, and rather pained, vocal carries the song – I find that the earphones hit the right notes when it comes to how the tenor voice comes through. I have not covered many IEMs before, and I fully admit that I am not quite familiar with what enthusiasts of them seek. As I’ve mostly focused on full-sized over-the-ear headphones, reviewing an IEM with a shell is new territory for me. I know that custom IEMs are a big business for a reason, but I appreciate that the universal-fit nature of the Pinnacle fits just right in my ear. The thing, as always, that I focus on however is the sound – and with that in mind I will unravel my thoughts of this product now. 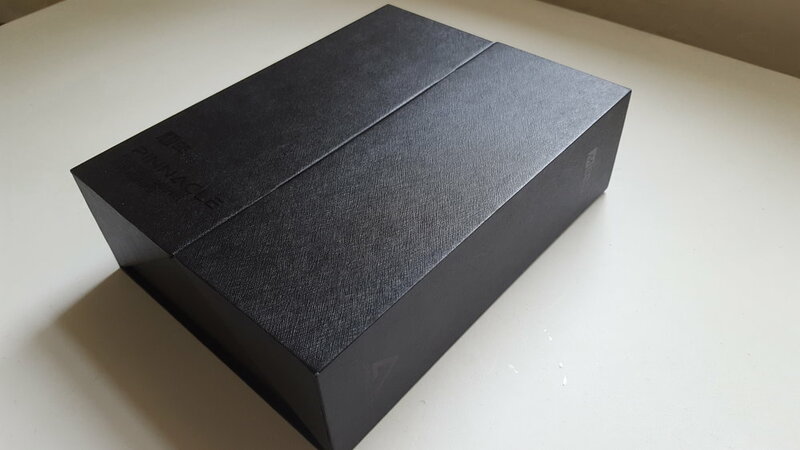 The Mee Audio Pinnacle was loaned to me for the purpose of a review by a representative of the company. I thank them for the opportunity, as I have mostly had to purchase the products I review in the past on a limited budget. 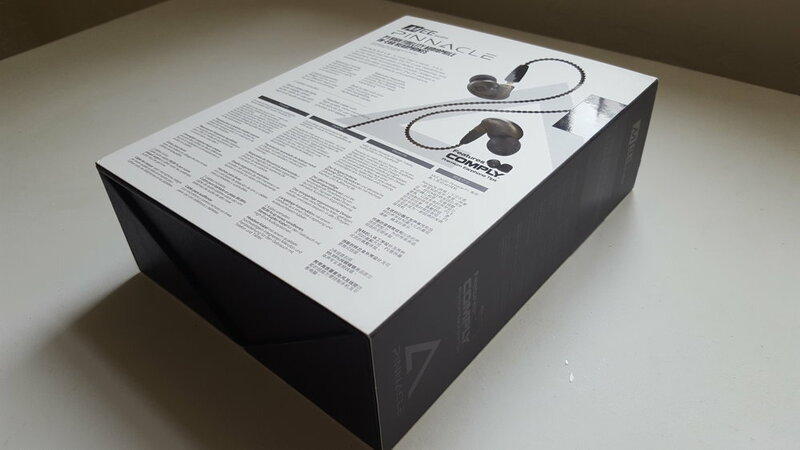 When I removed the Pinnacle from its box, I was immediately struck with how much heavier they seemed compared to other earphones I had experienced in the past. I also saw that they were made of metal, however this wasn’t much of a problem ultimately as I do not feel weighed down with them inserted, especially in the manner they were meant to be (over the ear, angled upwards). The comfort is a standout for me, with hours-upon-hours of listening not producing any sort of fatigue. 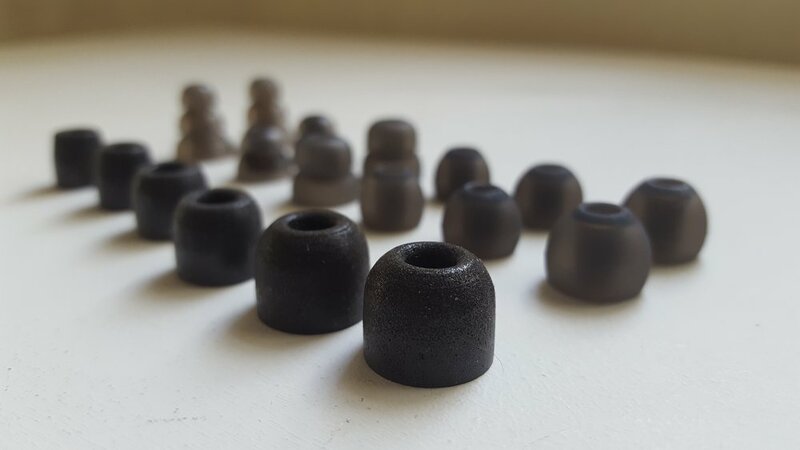 For an IEM noob like myself, it was fun to try out the various eartips provided with the Pinnacle. 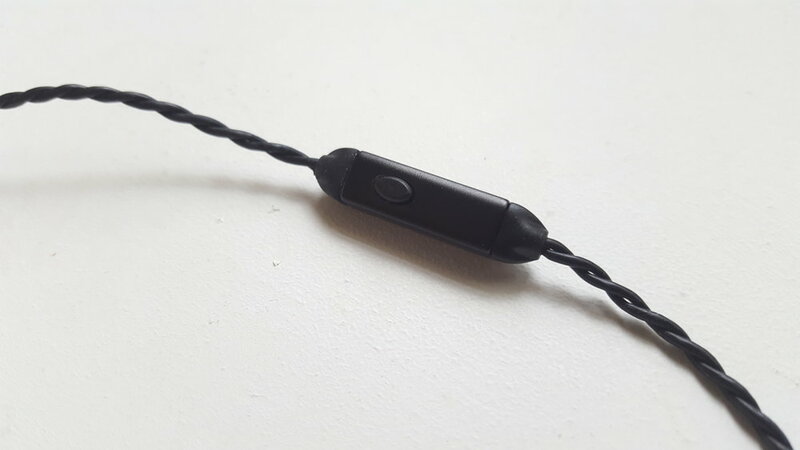 I found it amusing just how deep the triple-silicone tips could go inside the ear, but I did not prefer it due to how foreign it seemed – and also that it muted the bass a tad. 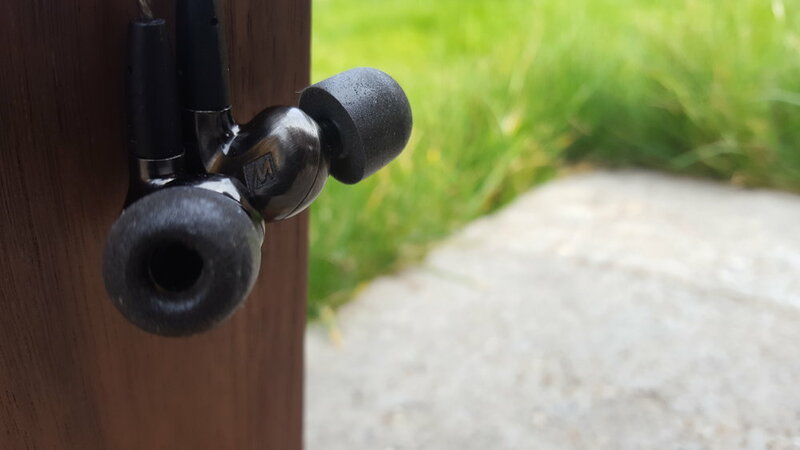 After trying them all, I found the largest Comply tips to be most preferable to my tastes – with the highs extending comfortably while the sub-bass having a bit more control and depth. 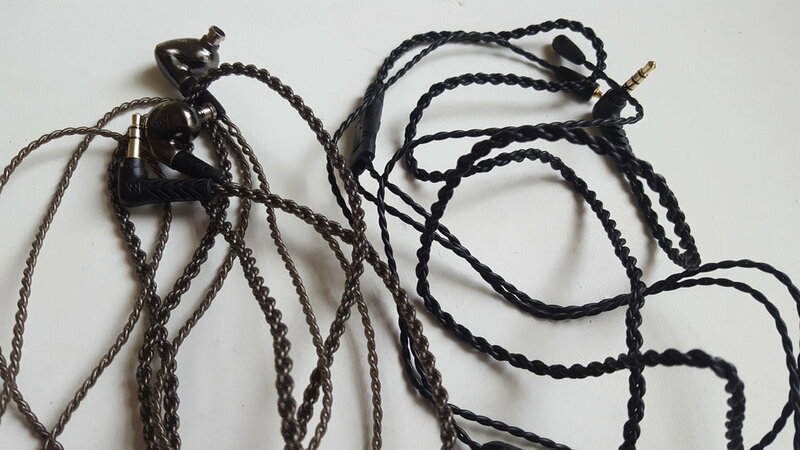 The two provided braided cables are pretty robust, to say the least - and a little heavy as far as earphone cables go. One is silver-plated, while the other has a microphone and remote button attached. This struck me as strange later on, as I can’t imagine these being driven effortlessly from a smartphone. Upon testing, I didn’t hear any audible differences between the two – but both shared some slight microphonics. I defaulted on using the silver plated one as it felt more durable and, to my eyes, looked nicer too. 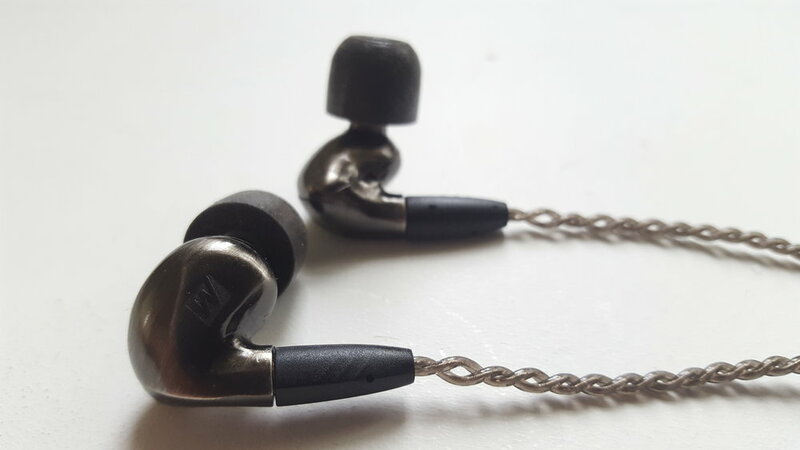 I dig the notion of removable cables on an IEM, just like I dig it on full-sized headphones. I must commend the packaging. It may seem like a basic thing, but a nice and well-thought layout and wrapping can do wonders for first impressions. 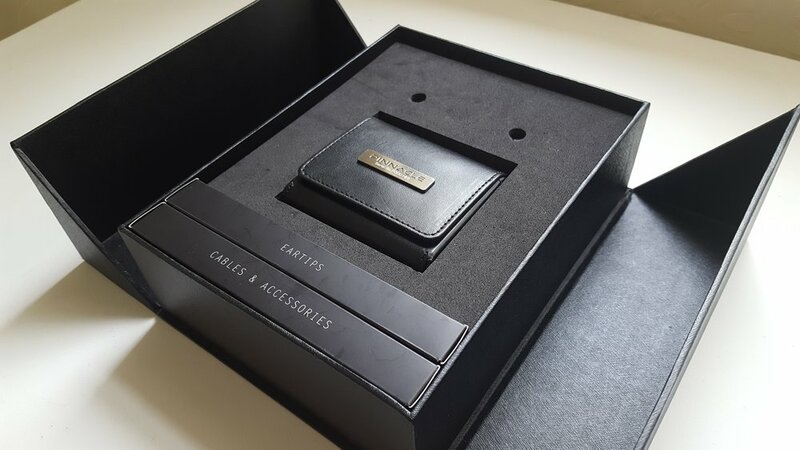 Inside the box was a little carrying case with a leather/pleather exterior, shaped a lot like a smaller version of some eyeglass holders. Also provided is a 1/8 to ¼ adapter, which proved useful for the needed amplification. From my limited experience with IEMs over the price of a few hundred bucks, the ultimate emphasis seems to be on audio resolution. Because of this, I’ve noticed that several that I’ve tried don’t share my own preferences of a warmer sound, but I can’t deny their precision in reproduction. That being said, I enjoyed the Nobel Audio Katana for this quality when I tried it at the London Can Jam – but I wouldn’t have been able to use it for long periods of time like I can the Pinnacle (or even the Nobel Kaiser 10U that I also tried, which had a more musical sound to it). While the soundstage is not vast, it is not lacking either. I would compare it to the Focal Elear in this regard, a sound-leaking and full-sized open headphone. 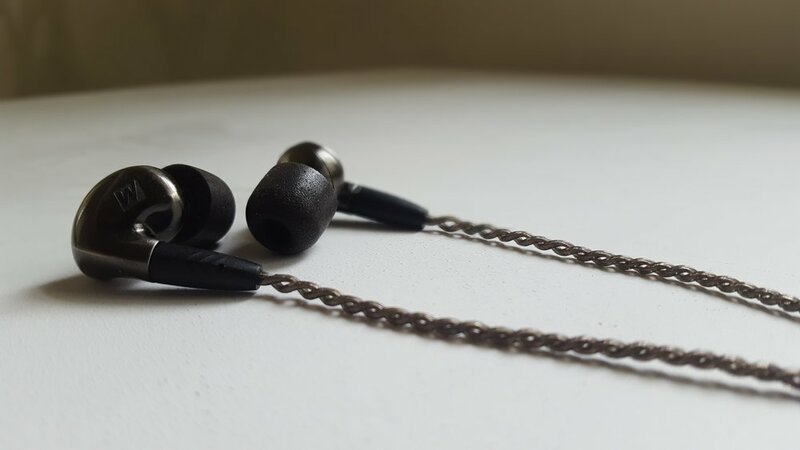 Due to the sound signature of the earphones, you can sometimes get quite an expansive and clean sound that doesn’t feel betrayed by any frequency bloat – depending on the mixing and mastering (and bitrate quality) of the track being listened to. The bass is something that I have heard others who have tried these earphones have rather strong opinions of. I just read another review that claimed that it delved into the deep sub-bass region, and I can’t replicate that with any source that I own – and amped with either the warm Cavalli Liquid Carbon or the neutral Schiit Magni 2. As someone who enjoys bass, but not basshead quantity as a daily driver, I can appreciate the Pinnacle’s low-end – but it won’t wow listeners for certain. Both the mid and sub bass are not the stars of the show, but rather role-players who take a backseat to the other frequencies. However, unless you are often listening to very bass-dependent music (EDM and whatnot), you won’t find the experience a deal-breaker. The one word I’d use to describe the midrange is clean. The bass’ subdued nature means that I can’t hear it even think of advancing on the territory of the mids. Vocals sound clear and pronounced usually, but can be slightly drowned out by instrumentals in more layered or hectic songs. This gives a slightly recessed feeling that is quite similar to the Sennheiser HD800, with mids being slightly laid back and not forwarded at all. However, sharing another quality with the Sennheiser flagship, the detail is quite incredible and well-separated. The acoustic guitar is an instrument that I always like to hear a natural-sounding reproduction of in headphones, and the Pinnacle did a great job at that without relying on emphasized lower-mids to achieve it. With harder hitting genres like hard rock and metal, there was detail in the electric guitars that gave it a live sound that any guitar players reading this would know about. Basically, distorted guitar tones can sound overly processed on some headphones that remove any bite you would hear in good live amplification and give it an overly processed and unnaturally smooth texture. The Pinnacle handles midrange texture like a champ, with classical and jazz recordings benefitting tremendously from this as well. The treble is also quite detailed, an aspect that gels with the midrange to give the Pinnacle its overall sound characteristic, without veering into problematic and peaky territories. That being said, your mileage may vary depending on which of the tips you use, as I found that some did indeed let the top end run amok on music and get a little painful. I use the largest of the Comply Foam tips, as I find it brings the treble to the exact amount where it’s both airy and manageable. Ear-tip rolling is a useful endeavour as it can let you customize both fit and sound to a degree that just isn’t all that effortless or possible with full-sized headphones. 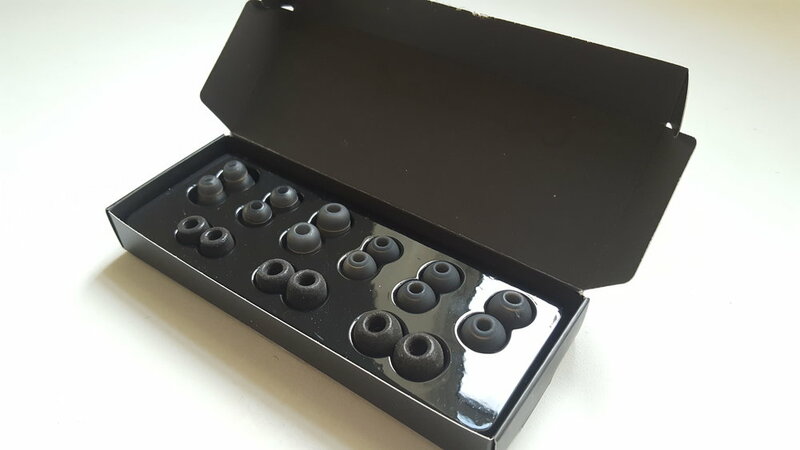 What the Pinnacle does, with my preferred tips, is provide a high resolution sound that is expected of IEMs far higher in price without any kind of harshness in any of its frequency ranges. It really is something that I can hear a clear cymbal or snare hit without it being either drowned out by another instrument, as is the case with some warmer or darker headphones and earphones, nor being over-emphasized – like in the case of the HD800 at times. And, while I believe the slightly-recessed quality of the mids lowers the volume of vocals in the overall mix, they are indeed clear – with male vocals having a certain grit and female vocals being able to soar. That being said, instrumental music would be the absolute best listen on the Pinnacle because of the strength of its separation, detail and midrange texture. Don’t run these from your phone. A few years ago, I would have found the notion of portable earphones and earbuds being amped ludicrous, but recent experiences such as this one proves to me that there are some offerings where you just can’t not do so. 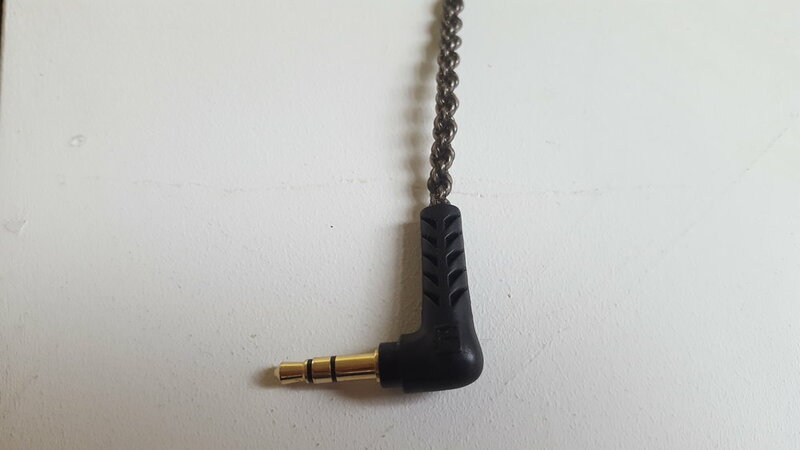 A friend of mine tried these earphones from the phone-out jack of his Ibasso DX90 and found it sufficient, but I can’t say the same. Its impedance is only 50 ohms, but the sensitivity is quite low. That being said, you won’t have to crank the volume dial on your amp to get these nicely driven. 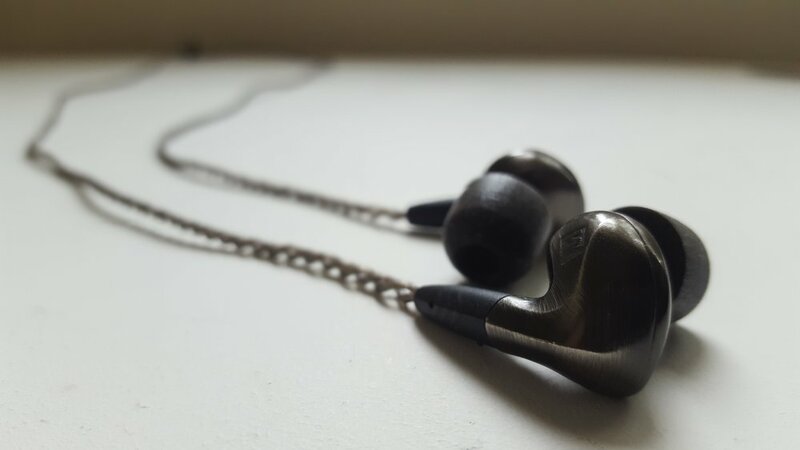 While focusing primarily on full-sized headphones, I forgot some of the benefits that IEMs can offer. You can lounge around in them quite easily with no concern for them falling off your head or getting in the way of whatever you choose to lean on. While, in the past, I equated such freedom with slightly compromised sound quality - I don’t get that from the Pinnacle. What I get is an easily listenable and balanced experience that provides stellar detail for a price that is reasonable for its market. I look forward to what Mee Audio come out with next, as this is an impressive first foray into high-end audio.